Fresh apples, picked straight from the orchard are not only delicious and healthy, but walking through the rows of apple trees will give you a nice, light workout. 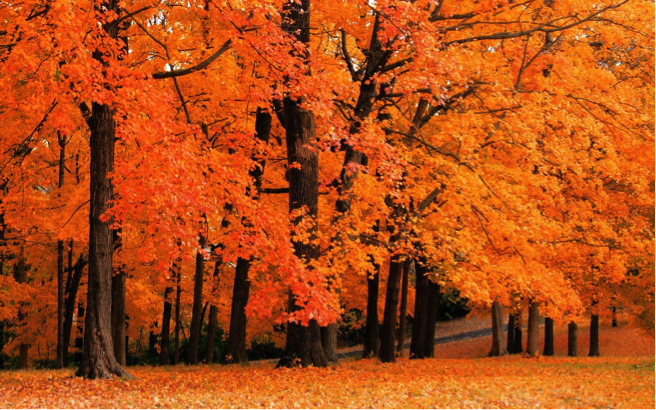 One of the most beautiful times of the year, the changing colors of tree leaves give fall its distinct beauty. Find a nature trail near your home and take in the autumn colors while getting exercise. Don’t forget your camera! Outdoor fall festivals often include a pumpkin patch or corn maze. Give your legs a stretch as you search for the perfect pumpkin or the exit of a corn maze. The gusty, cool air is often perfect for kite flying. Bring the family to a park to let your kites soar. A perfect family activity that also helps the yard look its best! Everyone can pitch in to rake leaves and then have fun jumping into the piles. What suggestions do you have for fun, outdoor fall activities?